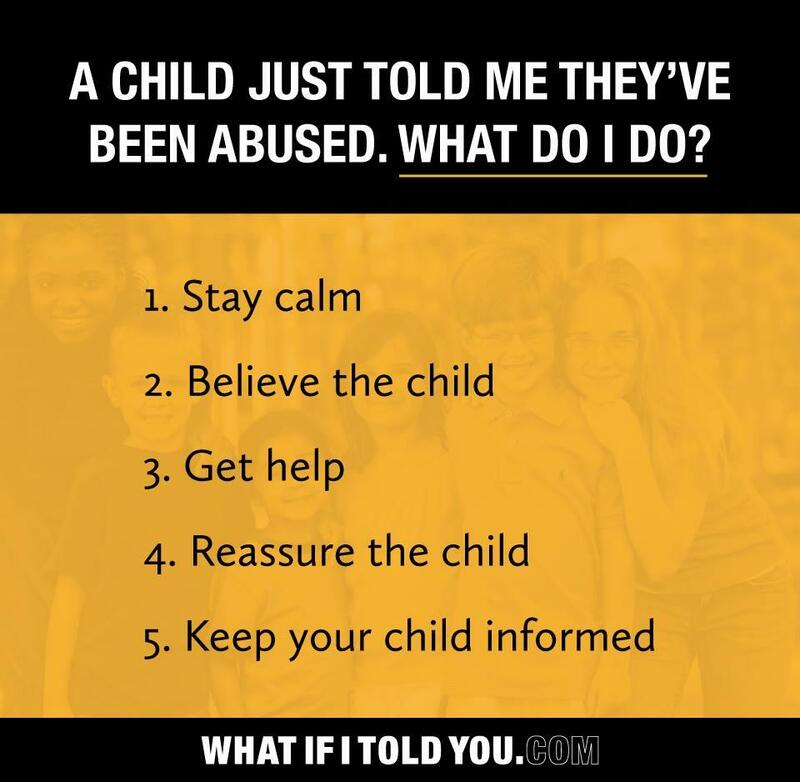 FACT: Children will not always report abuse. Most don’t tell immediately and some don’t tell at all. Many children do not tell when they have been sexually abused. For some it takes months or even years before they disclose what happened. Some never tell. Due to the shame and guilt they feel, many children don’t tell anyone until they are adults. This is why child sexual abuse is one of the most under-reported crimes.